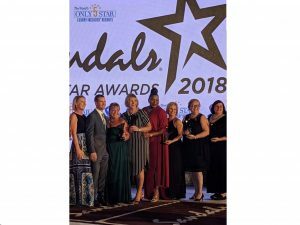 Travel Professionals International (TPI) was once again named the Top Host Agency in Canada along with being named as one of the Top 10 Agencies Worldwide at the 17th annual Sandals Travel Agency Recognition (STAR) Awards held this past weekend at Sandals Ochi Beach Resort. 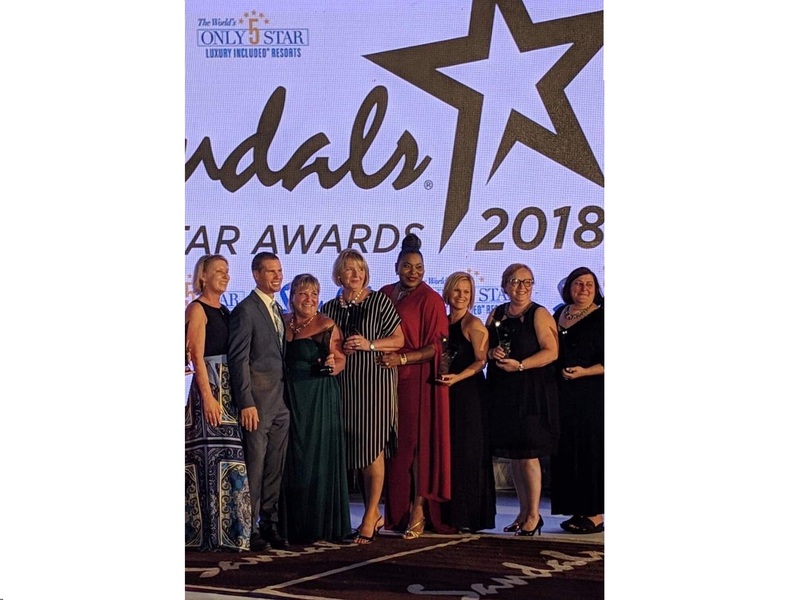 During the STAR Gala awards, TPI received many accolades including being named ‘Best of the Best Agency’ thanks to high sales productivity from its independent advisors between August 1, 2017 and July 31, 2018, and additionally, received Regional recognition by being awarded Western Canada Top Butler Elite Travel Agency and Western Canada Top Sandals Travel Agency award. “Being recognized with awards such as these truly shows the strength of the TPI organization and the commitment our advisors have to supporting our preferred partners.” Said Zeina Gedeon, CEO, who was on hand to receive these coveted awards. “Our Advisors work hard every day to find the perfect vacation for their clients, and their commitment to Sandals and Beaches is really is impressive. This year, as an organization we put a heightened focus around the Sandals Certification program and we covered the registration fees for our Advisors who wanted to grow their knowledge for the Sandals and Beaches brands! Clearly, continuing education has paid off, it’s amazing to be recognized with so many awards as we head into our 25th year of business” added Gedeon. Lois Barbour of Travel Time TPI and Kim Hartlen of Kim Harlen Travel TPI, were both named to the exclusive Chairman’s Royal Club, an honour reserved for the world’s top performing agents. Additionally, Lois Barbour was named Best of the Best Agency and Kim Hartlen Travel was named top Sandals Travel Agency for outstanding sales performance.